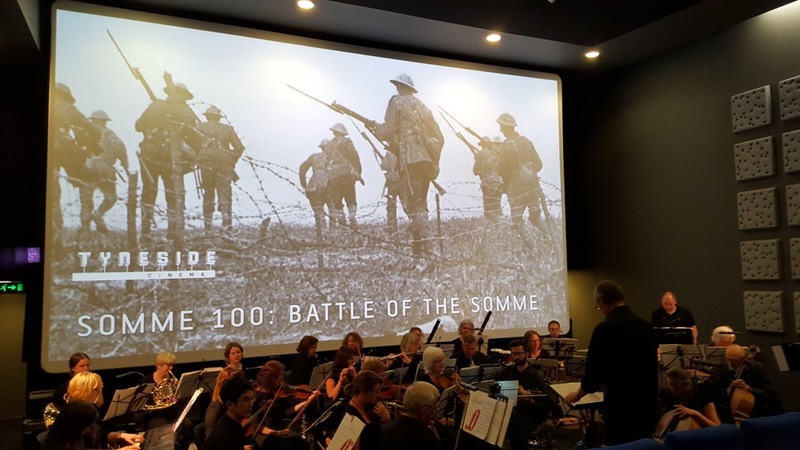 A special 100th Anniversary screening of the iconic 1916 film, part of a project to put on 100 performances of ‘The Battle of the Somme with Laura Rossi’s acclaimed orchestra soundtrack played live at the Tyneside Cinema. The Battle of the Somme remains one of the most successful British films ever made. It is estimated over 20 million tickets were sold in Great Britain in the first two months of release, and the film was distributed world-wide to demonstrate to allies and neutrals Britain’s commitment to the First World War. The Battle of the Somme gave its 1916 audience an unprecedented insight into the realities of trench warfare, controversially including the depiction of dead and wounded soldiers. 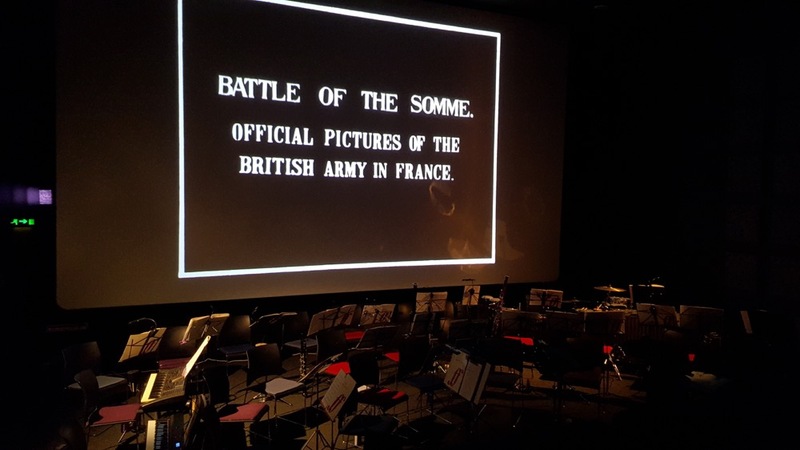 It shows scenes of the build-up to the infantry offensive including the massive preliminary bombardment, coverage of the first day of the battle (the bloodiest single day in Britain’s military history) and depictions of the small gains and massive costs of the attack. 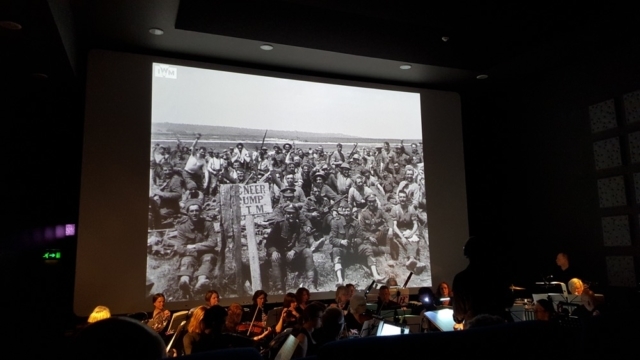 The screening will feature a pre-film talk by composer Laura Rossi and be accompanied by Rossi’s acclaimed orchestra soundtrack played live by the Cobweb Chamber Orchestra conducted by Andy Jackson. 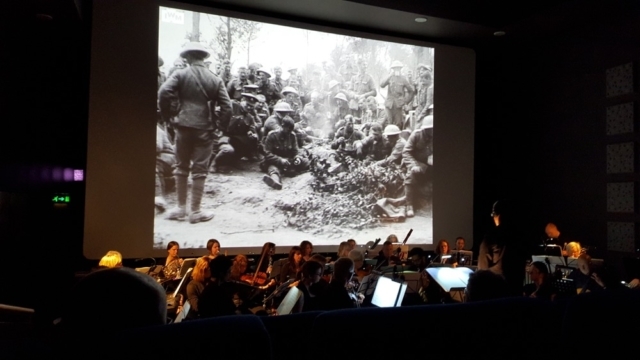 Laura Rossi’s new score was commissioned in 2006 to mark the 90th anniversary of The Battle of the Somme as a soundtrack for the digitally restored film. 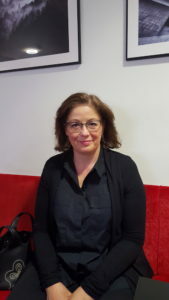 It was inspired by her Great Uncle Fred’s diaries after Rossi discovered that Fred had fought in the war. Don’t miss this unique screening of this remarkable film. Details of Lesley Wearmouth, the clarinettist’s great uncle Patrick, age 20, from Felling. 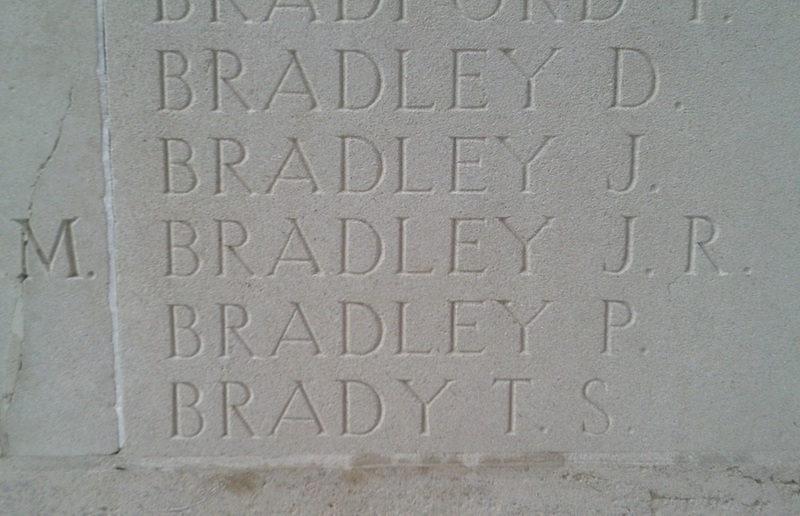 Here is a photo of the name of my great uncle, whose body was never found and whose name is on the Thiepval memorial. He was my grandfather’s brother ( my mother’s uncle). 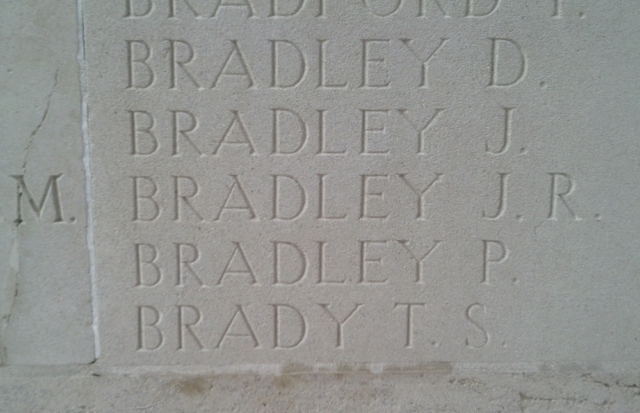 He was 20 when he died and his date of death is July 1st 1916. 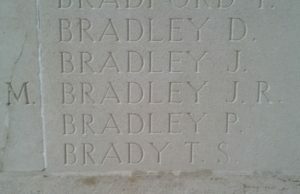 He was a Private in the Northumberland Fusiliers (Tyneside Scottish 23rd Battalion). His parents lived in Felling, which is in Gateshead. We have been to Thiepval twice to visit the memorial. We went last July 100 years after he died.